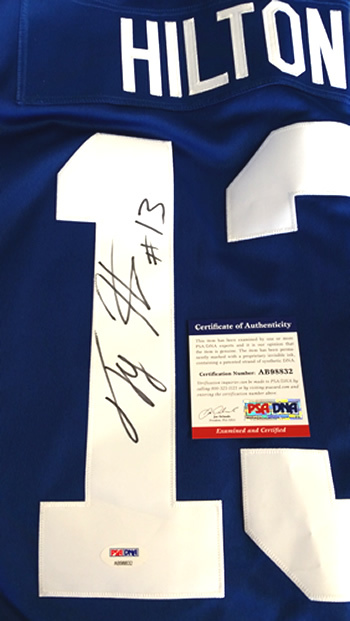 For your autographed item to sell for full value on the open market, it has to be authenticated by a reputable company. Indy Card Exchange is a Professional Sports Authenticator (PSA) Authorized Dealer and a Beckett Official Submission Shop which means we can submit items to PSA/DNA & Beckett Authentication, the leaders in autograph authentication. This means you can come to our shop and drop off your items, we then send your items along with other customers in a group order to PSA/DNA or Beckett, and they then can be picked up back at our shop when they are completed and shipped back to us from PSA/DNA or Beckett. Customers choose to submit through us as it saves money on shipping and insurance versus sending them in yourself. To find out when our next PSA/DNA or Beckett Authentication order is being submitted, please check out our events calendar. If you have any additional questions on the authentication process, please contact the shop.